Note: This article was first published on 24th September 2018. AMD has taken great pride in its recent CPU releases, and with good reason. It’s first to market with a 32-core processor for consumers, and if you’re already running a first-generation Threadripper chip, you won’t even need to buy a new motherboard for the Threadripper 2990WX. 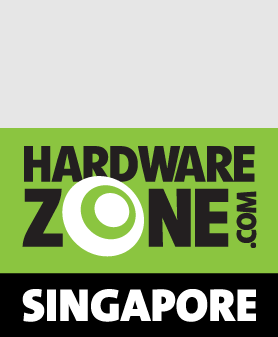 The company has put a lot of emphasis on fleshing out its ecosystem of motherboards, coolers, and other accessories, which is why it’s taken care to ensure backward compatibility with the existing X399 platform and SocketTR4. You’ll be able to drop any Threadripper 2000-series chip into an existing X399 motherboard, which certainly saves you some money if you’re already on the platform. That said, what’s a motherboard maker to do when there’s technically no need for any new boards? 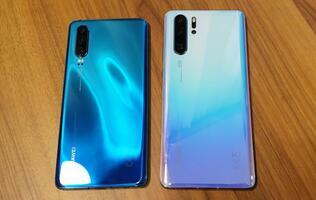 Do they stick to their existing line-up or do they release new models with even beefier specifications and more features? 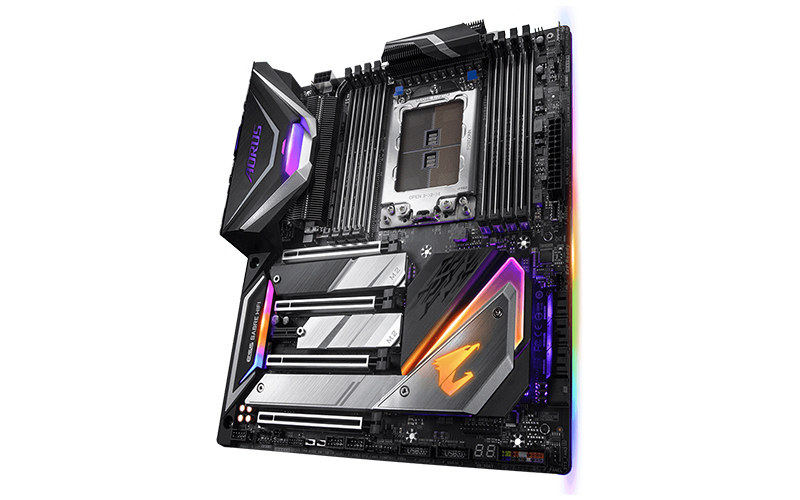 As it turns out, Gigabyte has opted for the latter route with the X399 Aorus Xtreme, its new X399 flagship that’s been jam-packed with nearly every conceivable feature. The X399 Aorus Xtreme is built like a tank. It is extremely heavy, no thanks to a metal backplate that spans the entire length and width of the board. That said, the extra structural support is reassuring and really helps prevent the flexing of the PCB, especially since this is an E-ATX board. According to Aorus, the backplate functions as more than just structural support and can act as a passive heatsink to lower the backside PWM component temperatures by up to 10 per cent. 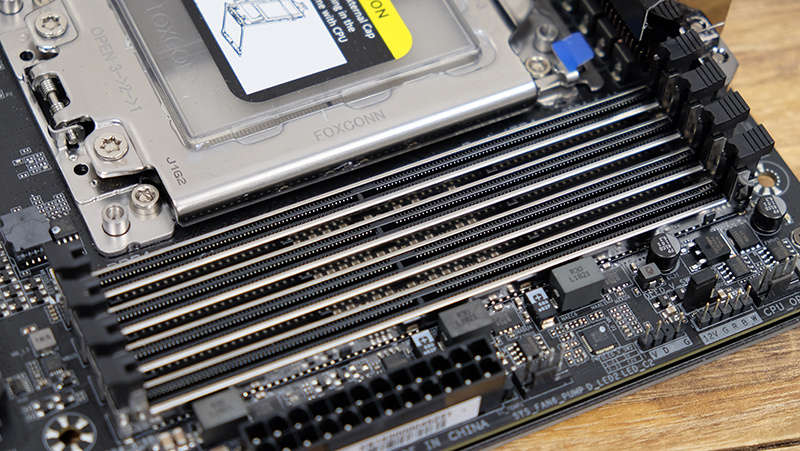 Moving over to the front of the board, you’ll find massive VRM heatsinks encircling the CPU socket. This is clearly a board built for overclocking, where it’s important to keep the MOSFETs and other crucial components running cool. The MOSFETs can get pretty hot with high currents, which in turns affects the resistance of the semiconductor. This could lead to a drop in efficiency and precipitate a vicious cycle that leads to more heat. The main heatsink is built from copper, which is more effective at dissipating heat than aluminum. 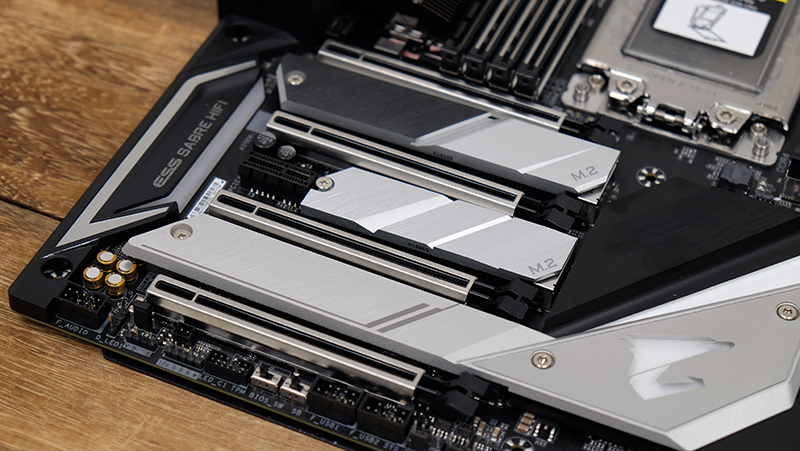 It’s also not every day you see proper heatsink fins on a motherboard, so Gigabyte has really gone all out here. The two heatsink fin arrays are linked to each other via a single heat pipe. This heat pipe is also in direct contact with the MOSFETs and helps transfer heat from them to the heatsink arrays. In addition, Gigabyte says it uses high thermal conductivity pads in the VRM region to further aid in heat transfer. There’s built-in active cooling for the VRM components as well. The large I/O shroud houses two 30mm fans that blows at the MOSFET heatsinks. They’re pegged to VRM temperatures as reported by an onboard thermal sensor and can stop spinning entirely during low loads. Speaking of overclocking, the board also features a 10+3-phase power design and Infineon IR3578 rectifiers. It’s sporting digital PWM controllers and PowlRStage MOSFETs as well, which can handle up to 50A of current on each phase. 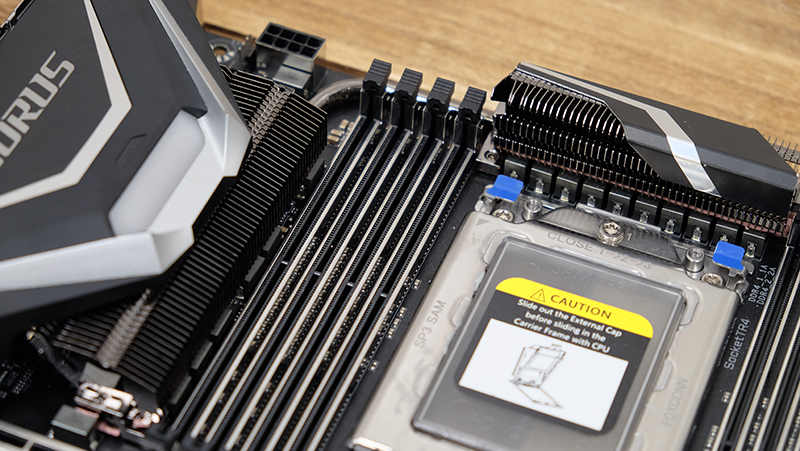 Gigabyte also equipped the board with two 8-pin connectors for the CPU, and you should make sure to connect the both of them. Cooling for the storage devices hasn’t been neglected either. The X399 Aorus Xtreme will take up to three M.2 drives, including two 22110 slots and one 2280. Each of these has their own heatsink, and the design is such that it blends in really well with the rest of the board. The number of SATA ports has been decreased from eight to six, which is an acknowledgment of the growing popularity of M.2 drives. 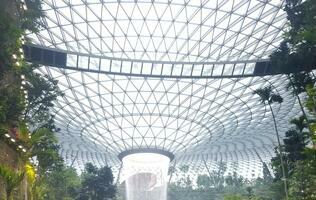 There are a total of four full-length PCIe 3.0 slots, two of which can run at full x16 speeds. The other two are limited to x8/x8 mode, and there’s also a fifth PCIe 2.0 x1 slot. 48 PCIe 3.0 lanes have been reserved for the graphics cards, so you’ll be able to run 4-way SLI or CrossFire with no problems in an x8/x16/x8/x16 configuration. 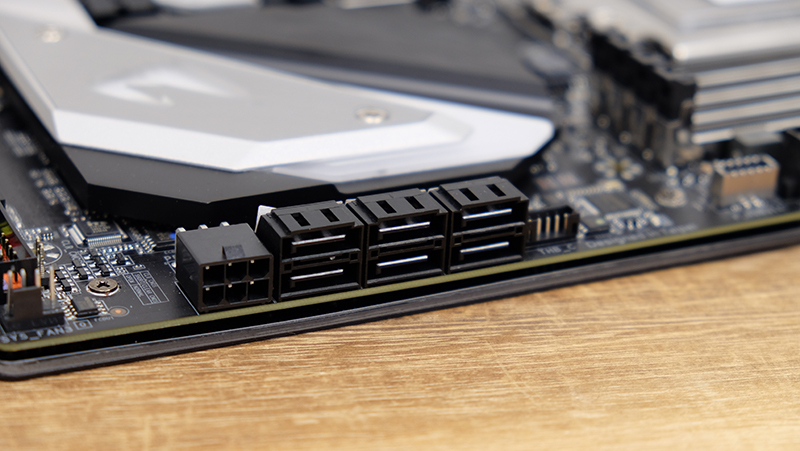 If you want still more power to overclock your cards, there’s an additional 6-pin PCIe power connector next to the SATA ports. On the topic of power connectors, Gigabyte says it’s using what it refers to as solid pin power connectors on this board, which supposedly offer a larger contact area for electricity, a longer lifespan, and a better ability to sustain higher power and heat. The rear I/O panel houses plenty of USB connectors, a power/reset button, and a button for clearing CMOS. There’s also an integrated I/O shield, which helps simplify the installation process somewhat. 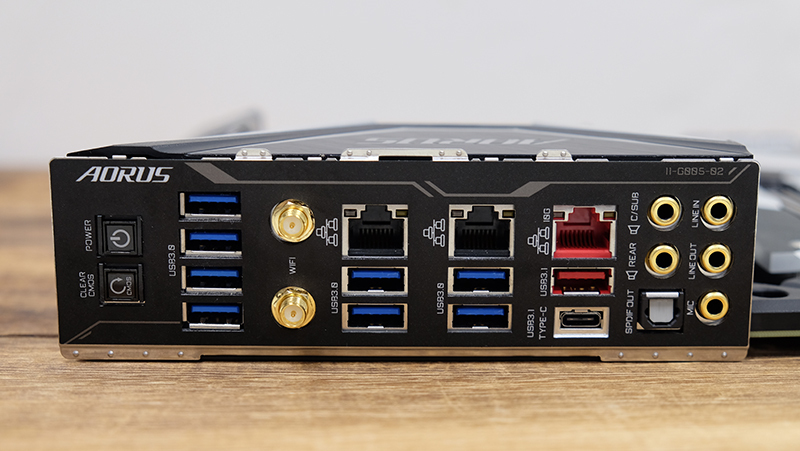 In total, the board has one USB 3.1 (Gen 2) Type-C, one USB 3.1 (Gen 2) Type-A, eight USB 3.1 (Gen 1) Type-A, and no fewer than three RJ-45 ports. The latter comprises dual Intel Gigabit Ethernet ports and one 10 Gigabit connector provided by an Aquantia GbE LAN chip. On top of that, there’s support for 802.11ac dual-band Wi-Fi (maximum throughput up to 867Mbps) and Bluetooth 4.2. Is this too much? Probably, but that’s what this board is all about. 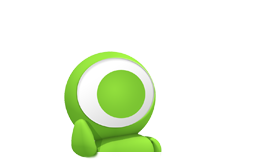 You’ll need a 10 Gigabit plan from your ISP to even begin to take advantage of the Aquantia port, but it’s there if you ever need it. In addition, the board also comes with a debug display at the bottom right, and dual onboard BIOS for easier recovery from failed overclocks. If I had one gripe though, it would be how close the RAM slots are located to the CPU socket. 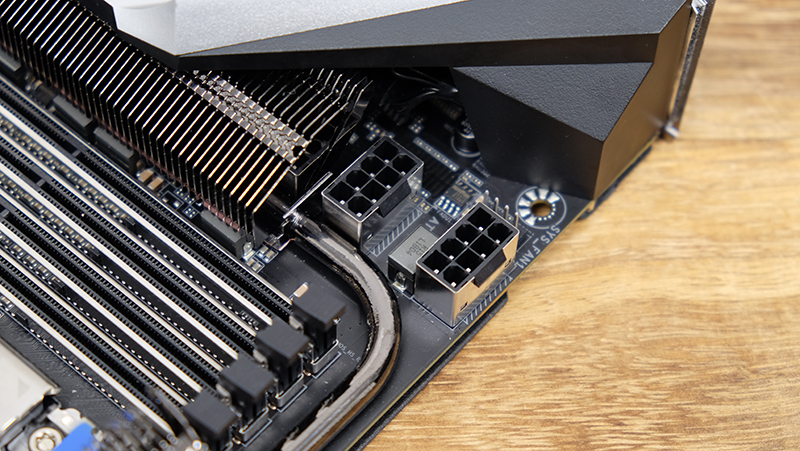 Having worked with both the ASUS ROG Zenith Extreme and the Aorus board, it’s obvious that ASUS has left more space between the socket and the RAM slots. I don’t see this as a big problem, especially since most folks will probably use a closed loop cooler or a custom liquid cooling solution. 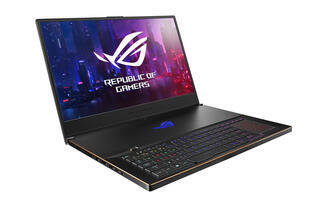 However, it could possibly present some hiccups with large air coolers and high-profile RAM sticks, so it’s just something you should be aware of. Gigabyte does score a point against the ASUS board though. I had a notoriously difficult time trying to get the torque screws holding the CPU plate on the ROG Zenith Extreme to catch, to the point that I had to push down on the board with my entire body weight for there to be any hope of the screws threading. On the other hand, it seems like Gigabyte has made its screws slightly longer, or at least it's doing something right, because I had no problems in this area at all. Finally, what’s really striking about the board is how subdued it is compared to some of Gigabyte’s other premium offerings. There are plenty of RGB LEDs and LED strip headers to be sure, but they aren’t glaring at you from every corner of the board. Instead, the lighting is mostly limited to an underglow on the board’s right edge and the I/O shroud and PCH heatsinks. I find this a lot more appealing than having the PCIe and RAM slots light up as well, and I sure hope Gigabyte chooses to implement this approach on more of its boards.